Be the first to hear about their new releases and deals. Download the Booksprout app and search for Alex Paul today! Alex Paul is the award winning author of Arken Freeth and the Adventure of the Neanderthals books series, and co-author of They’re Mine and I’m Keeping Them. Alex Paul lives with his wife Laura Ross-Paul (co-author of They’re Mine and I’m Keeping Them), and two faithful dogs, in Portland Oregon in the winter, and the Oregon Coast in the summer. 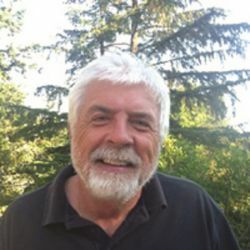 He trained as an Industrial Engineer at Oregon State University, working in a variety of fields before settling into a career as a real estate developer. Alex Paul has been a life long outdoors enthusiast, having a wealth of knowledge and experience to draw on for his epic fantasy Arken Freeth series.